At Henham Bees & Trees we specialise in the sustainability of honey bee species. are sited. 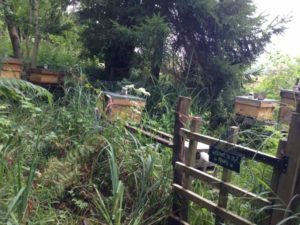 Once the honey has been harvested we are able to put to good use the remaining comb and wax, producing a range of natural products and gifts, nothing goes to waste! Our honey bees are native to this country and not imported to limit the spread of diseases from across continents and countries throughout the world. Honey can be harvested as early as June depending on the type and the amount the bees have produced, we will always leave an adequate supply of honey which the bees use as vital food supplies for the dormant winter months. To find out more fascinating facts and to learn more about bees, click on The British Bee Keepers Association link at the bottom of the page. 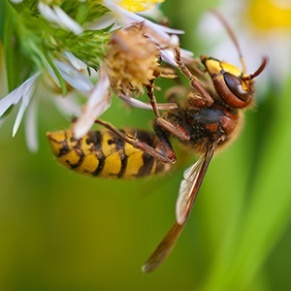 This information is meant to be helpful and useful to householders, but is not comprehensive and does not cover every situation in which wasps and bees can cause nuisance. For expert advice use our contact details at the top of this page. A visit can be arranged to inspect and offer further advice. A call out fee will be charged to cover travel expenses and time. Honey bee Swarm collection is FREE. 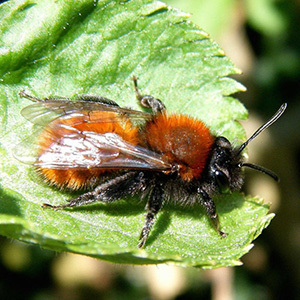 There is a charge for the removal of bumblebees if access can be easily gained. We can recommend a Local Pest Control company who can remove Wasp and Hornet nests if required. Honey bees are small and vary in colour from golden brown to almost black. Live in very large colonies from 20,000 to upwards of 40,000 members. The nests are rarely constructed in the open and consist of vertical sheets of honeycomb. Bees are active throughout the summer, and are usually noticed when carrying out their swarming flight. 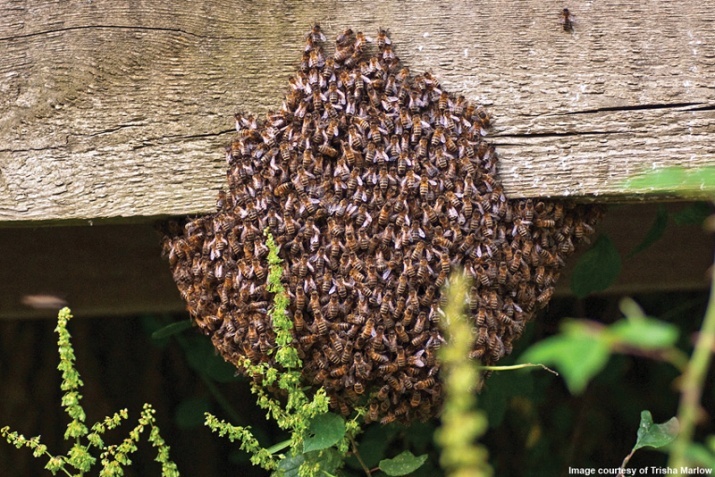 A swarm arriving can be a frightening sight. 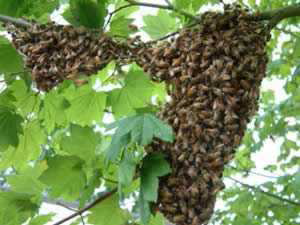 Generally these swarms are very docile and the swarming bees usually will not sting. If the bees are flying around, stand still and wait for them to settle. If you do get stung, scratch rather than pull the sting out. Honey bees are prone to swarming between May – July. Normally swarms are found hanging from a tree branch, fence post or any place where the swarm can gather close to the Queen, while scouts are sent out to look for a more permanent home. A swarm left alone will only be in place from just a few hours to occasionally a few days. Declining honey bee numbers make the collection of swarms an important part of our work as beekeepers. You should never interfere with a swarm and pest control companies will not kill a swarm unless absolutely necessary. Bumble bees are often confused with honey bees. However they are rounder, larger and furrier and come with a variety of coloured stripes across their bodies and tails. A colony never totals more than hundred bees. There are around 25 species on the British list, but only 6 are at all common. Bumble bees have a sting but rarely use it. Their nests can be found in disused bird boxes, mouse holes, roof spaces or in compost heaps. Similar to honey bees but much hairier with a reddy/brown bottom or could be almost black. They are harmless and as their name suggest live more or less alone. They are not interested in you and should be left alone. Can be found in soft mortar, brickwork or soil. Approximately 14mm (½”) long with distinctive yellow and black stripes on a smooth carrot shaped body. The queen lies dormant over the winter and in early spring starts a new nest. Wasp colonies increase rapidly in size, in just a few weeks, populations of 20,000 are perfectly possible. Each nest lasts for one season only and therefore not likely to become active again the following year. All 7 British species of wasps have a great reputation for stinging. Their nests can be found in the roof of your home, a hollow in a tree, compost heaps, sheds, hedgerows, shrubs or in a hole in the ground. Significantly larger than a wasp with a loud buzz. Their markings are similar to a wasp with maybe a hint of orange with a very big curved tail. Hornets do sting and can bite. Their nests can be found in roofs or sheds. These insects perform vital roles in the environment. 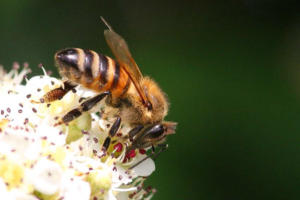 All types of bees feed on nectar and pollen. As they forage amongst the flowers their furry bodies pick up pollen and pass it from flower to flower. This results in the formation of seeds and fruit. One third of the food we eat relies on pollination by bees. The main source of food for wasps is insects. They too are beneficial in the garden since they feed on aphids and other insect pests.